Starting from January 2018, Sigma Technology operates a software development office in Karlshamn, Sweden. The new office welcomes local specialists and offers them employment opportunities in their community. Sigma Technology Systems, a part of Sigma Technology Group, provides homeshoring services in software development and testing. Currently, Sigma Technology Systems has offices in Karlskrona, Gothenburg, and Stockholm serving customers all over Sweden. The idea behind a new office is to widen our coverage without necessarily having all employees at one central site where all have to commute on a daily basis. “The demand for software development and testing services is continuously growing in Blekinge/Skåne region. Our philosophy is to follow our customers and take care of their business needs. 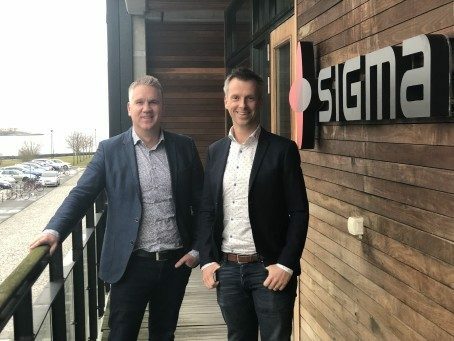 Karlshamn office is aimed to cover the entire Blekinge/Skåne region,” said Johan Edlund, CEO at Sigma Technology Systems. Sigma Technology Systems unites over 80 people today, while together with other Sigma companies, we have over 125 experts working in Blekinge region. The new expansion will help us grow and establish business leadership in Blekinge/Skåne region, and become more attractive employer for people living in Karlshamn. With a local office, Karlshamn residents will be able to find a job in their home city and enjoy favorable working conditions, minimizing commute time and devoting it to things that really matter. For more information, contact Daniel Borg, daniel.borg@sigmatechnology.se or Johan Edlund, johan.edlund@sigmatechnology.se. Sigma is owned by Danir AB and has about 3,700 employees and a network of partners in 12 countries.